Can you tell if your child's behavioral struggles are symptoms of sensory processing disorder or ADHD? As experts continue to debate how often ADHD is overdiagnosed and what can be done to improve the diagnostic process, parents need help now to better understand if their child's behaviors may be symptoms of sensory processing disorder or ADHD. It is widely accepted among clinicians that sensory issues are present in kids with anxiety disorders, motor delay, and autism spectrum disorders. Further complicating our understanding of the differences between SPD and ADHD is new research that found brain structure differences in kids with sensory issues and recent study results that imply ADHD is not caused by a chemical imbalance as previously suspected. As brain imaging allows researchers and experts to improve their understanding of sensory and attention issues, the following information can be used as a guideline when observing your child's behavior and evaluating symptoms. A quick way to think of sensory processing disorder is as an extremely inappropriate response to sensory stimulation that affects a child's everyday functioning in a way that is markedly different from his or her peers. All children can seem quirky or particular about their likes and dislikes at different times in their development, but children with sensory processing disorder will be so severely affected by their sensory preferences that it interferes with their ability to participate in age-appropriate activities. Sensory issues are usually defined as either hypersensitivity (over-responsiveness) or hyposensitivity (under-responsiveness) to sensory stimuli. Most kids with SPD exhibit hypersensitivity to some stimuli and hyposensitivity to others, so a child may strongly avoid certain sensory input and seek out other types of input repetitively. Parents often describe these children as anxious or out-of-sync with extreme reactions to certain types of sensory input that may seem innocuous to others. For example, a metallic noise like clinking silverware can elicit a scream in a child with SPD while a tremendous clap of thunder goes unnoticed. A change in routine can cause a panic attack, and the "wrong" socks or shoes can ruin an entire day. Certain food textures or even smells that seem unoffensive to others may elicit a strong gag response in kids with sensory issues, and parents may describe these kids as being "set in their ways" and difficult to manage. While kids with SPD can have a hard time paying attention and staying on task, often if the offending sensory stimulation is removed and a consistent sensory diet is put in place, the attentional issues resolve themselves in the less offending settings. Observing your child's behavior and removing sensory overload can help you decide if your child is struggling with symptoms of sensory processing disorder or ADHD. Click here for more signs and symptoms of sensory processing disorder. 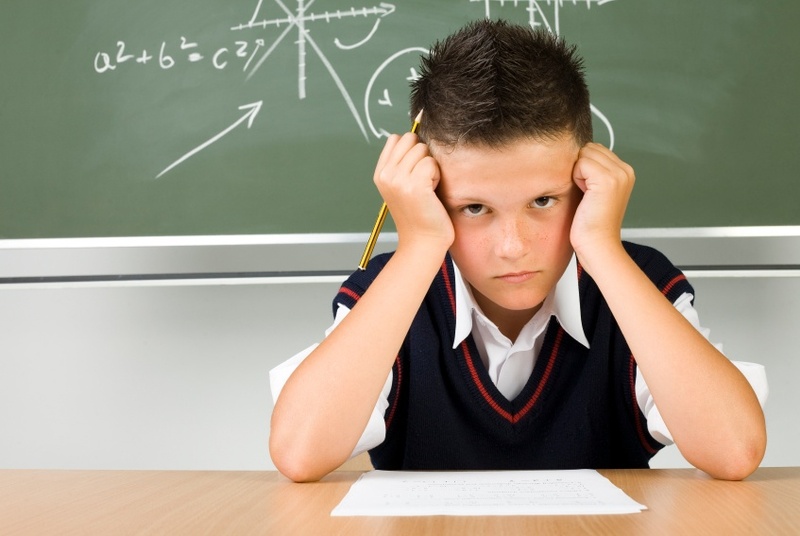 Attention Deficit Hyperactivity Disorder (ADHD) is a complex neurological condition that is characterized by developmentally inappropriate levels of inattention, hyperactivity, and impulsive behavior. While kids with ADHD, like those with SPD, have a difficult time paying attention and staying on task in an age-appropriate way, these issues generally can not be resolved by changing the child's environment. In fact, to be diagnosed with ADHD, the condition must cause significant impairment in daily functioning in at least two settings, usually meaning a child’s symptoms are present both at home and at school for at least six months. In other words, the social, emotional, and academic difficulties associated with ADHD are steady and consistent regardless of the child's surroundings and do not seem to coincide with sensory over-stimulation. Parents often share that their child with ADHD can not finish simple tasks or homework even when the child is putting forth admirable effort. In other words, poor organizational and executive functioning skills often prevent the child from following through even when he or she is willing. Observing your child's behavior in multiple settings with different types of sensory stimulation (lights, sounds, crowds, etc.) can help you determine if your child's symptoms more closely align with sensory processing disorder or ADHD. Click here for more ADHD signs and symptoms and descriptions of each subtype.